The importance of working in teams has become even more critical since tasks are wider in scope, companies get more complex and there is often a higher level of ambiguity in today’s organizational structures. In this corporate environment, it appears the team – and the ability to collaborating effectively - is crucial to business success. One of the keys to developing high performing teams is to remember that successful teams do not simply happen – they take effort and time. To attain a high level of team performance, we need to be knowledgeable about what factors influence team dynamics and effectiveness. Depending on the situation - which we would assess in close co-operation with you - we facilitate the team development process with interventions that e.g. help the team members to get to know each other better, facilitate a deeper understanding about what is driving each team member and thus create a platform for leveraging the diversity within the team to come to even better collaboration. We can add value in using dialogue and exercises to build trust. We can help with changing perspectives and connecting these to the teams' primary task. We may provide a mirror to help team members become aware of potential dysfunctional behaviours. But more importantly we reflect on the qualities already present in the team, focus on what is already working well and how we can build on this to develop further. In this way we focus on solutions that generate more commitment and unleash positive energy. We have a range of interventions that we use based on the situation. We often use Insights since this methodology is ideally suited to facilitate individual development as well as foster team collaboration in a playful and light-hearted way. We often use the Insights methodology to establish understanding of individual differences as a foundation for further development. Understanding of individuals strengths and weaknesses creates a platform for leveraging the diversity at the team level and facilitates exploring team dynamics in the context of effective collaboration. The Insights methodology is ideally suited to facilitate individual development and foster team collaboration in a playful and light-hearted way. Insights is perceived as an inspirational development tool that helps individuals and teams understand themselves better and become more effective. Given there is no ‘right and wrongt’, it allows teams and individuals to understand what their drivers are and how these help or hinder them to effectively collaborate and ensure better business results. We provide an interactive workshop setting: Next to knowledge transfer we will introduce fun elements such as card games and simulations to ensure the participants are actively involved and facilitated in their learning process. During the session each participant will receive an individual profile based on his/her input. 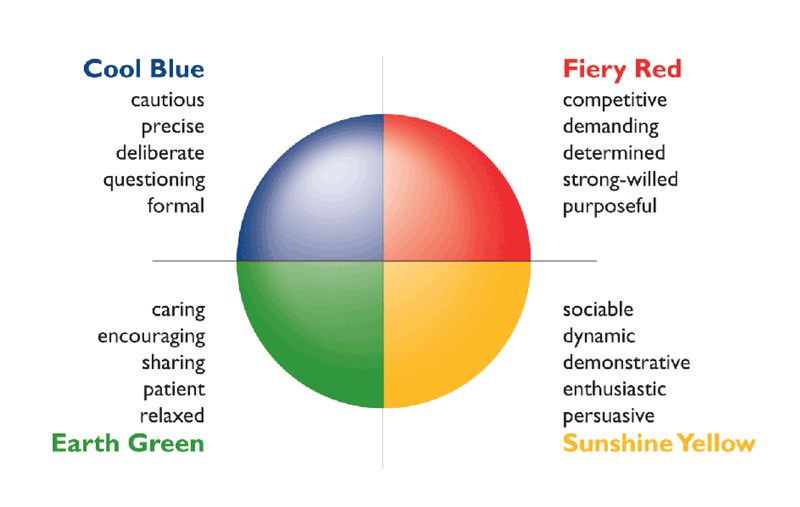 Insights Discovery® Personal Profile provides personality profiling in terms of four colours. We recommend this instrument because it provides a common language for individuals, teams and organizations. Each individual profile is based on the Internet input from the participants and provides useful information about his/her communication style, the individual's value to the team, their ideal environment, blind spots, how they manage others, how they like to be motivated, and how they can enhance their personal effectiveness by reducing the interferences that may commonly affect them. An example profile is provided separately. types and identify the dominant color splits of the team. Teams are also given insight into their possible ‘stress’ factors and preferences. 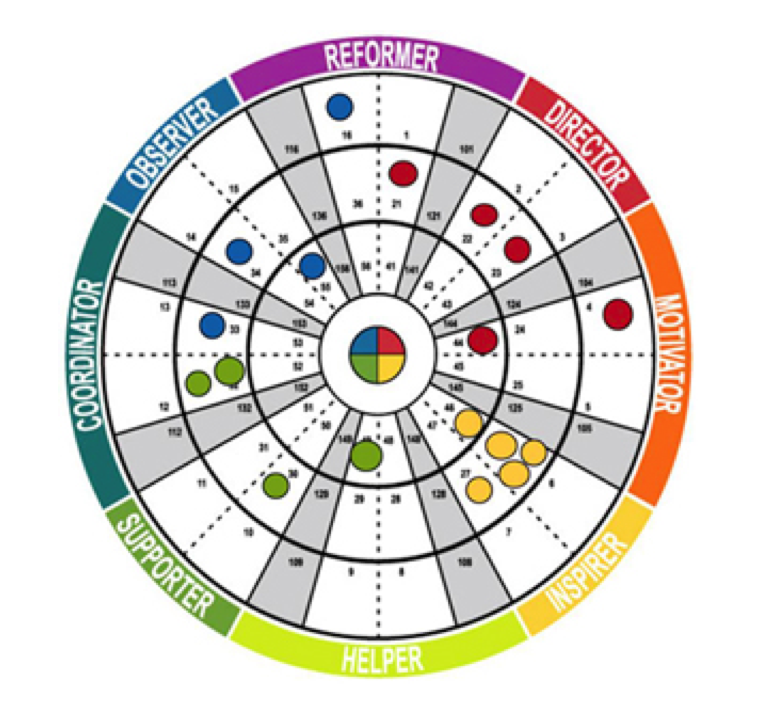 The team wheel will assist in helping teams and their members to understand how their various styles may impact the way they interact with each other. After briefly revisiting and exchanging the individual profiles, we often spend time to have team members in small groups working on the implications of the qualities and differences and address areas that offer opportunity for effective collaboration, such as communication, feedback or conflict handling. At the end of the session participants may choose to make specific commitments about personal and team behaviours in the form of working agreements. We have used Insights since 2006 and have been consistently received positive feedback from our customers.